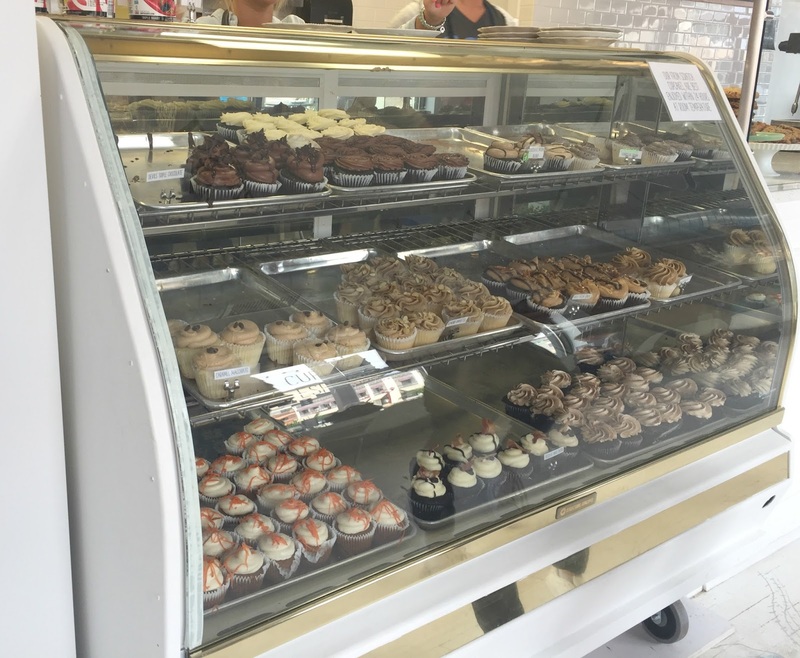 All the cupcakes you could want and more! 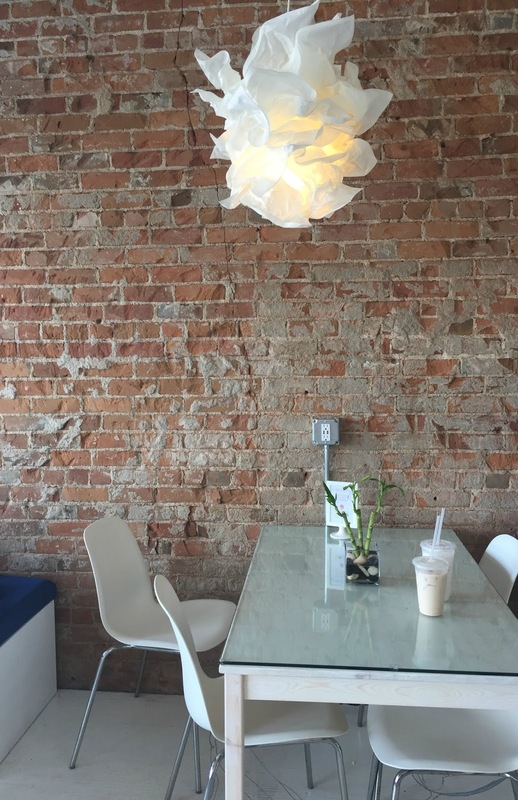 Delicious cupcakes, beautiful interior, all located in downtown Mankato! 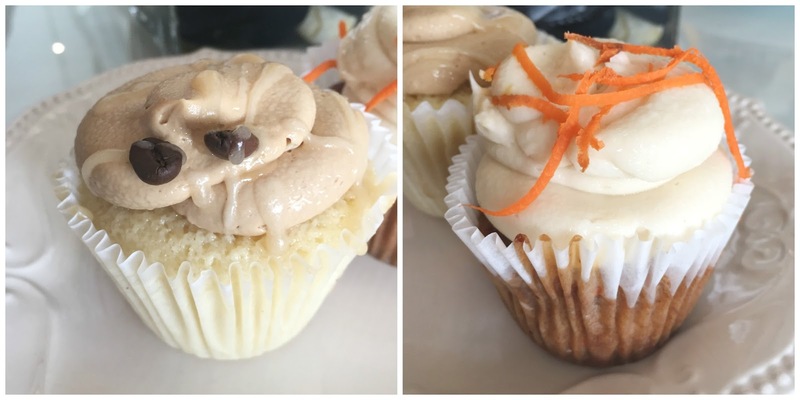 A definite must try if you're a cupcake lover! I had the pleasure of visiting my sister and her family in Mankato over Easter weekend! Whenever we hang out, we always have to eat some good food and visit either book stores, thrift stores or antique stores! 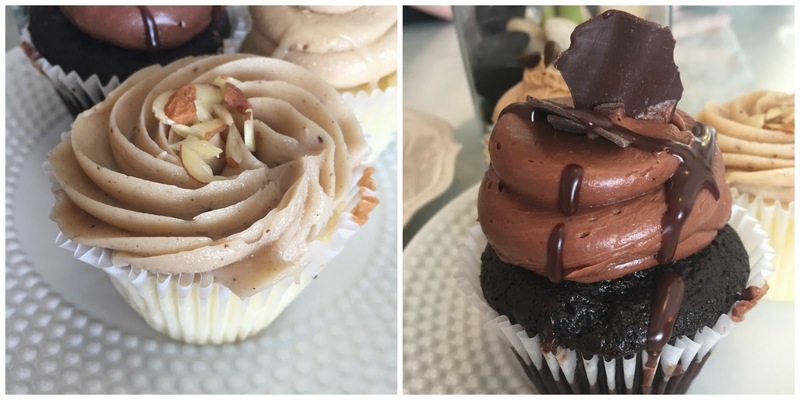 This trip, my sister Shannon, niece Grace and my daughter Ella had a fun day thrifting and book shopping and we decided it to end it all with a delicious, sweet treat from Bluebird Cakery! 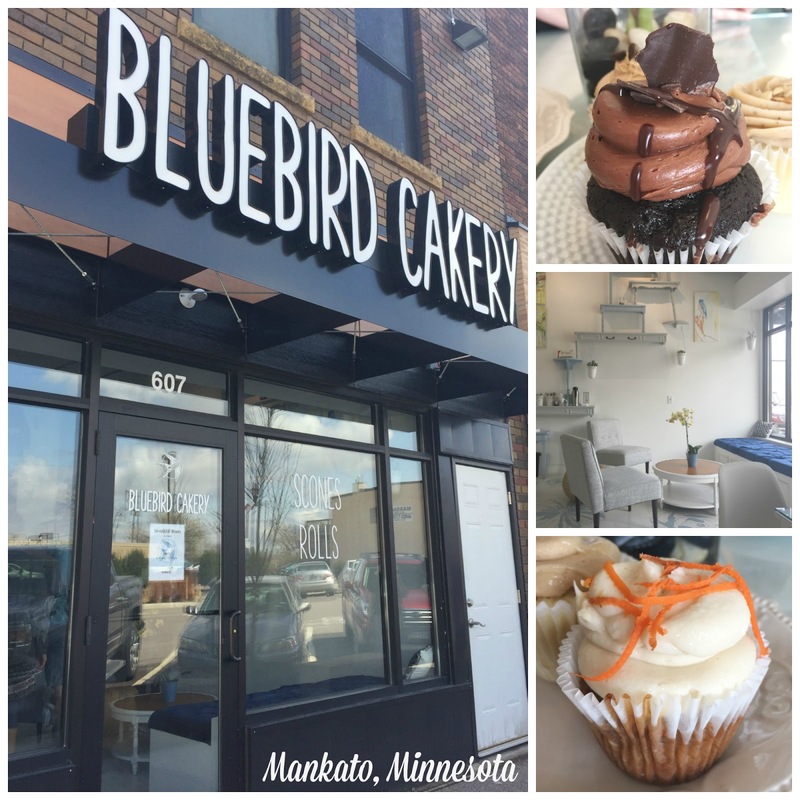 I've heard Shannon rave about this newer cupcake shop in downtown Mankato before, so we knew it was the spot to stop at! First of all, check out this gorgeous interior! And the cupcakes... let's just stare at those for a moment..... drooling yet?? There are quite a few flavors to choose from including vegan and gluten free options, and best yet? They rotate flavors every day, so there's always something new and different to choose from! I felt like the luckiest lady ever. They had my most favorite flavor, Carrot Cake!! My daughter ordered the Caramel Macchiato! They were both fantastic and of course, we had to grab a fork and share with each other! My niece decided on the Almond Amaretto and my sister picked the Triple Dutch Chocolate cupcake! They were both amazing as well, and for me not being much of a chocolate cake fan, I must admit the Triple Dutch Chocolate was ah-mazing!!! Really though, look at all that delicious frosting on top. Bluebird Cakery also has a wonderful selection of drinks to choose from! 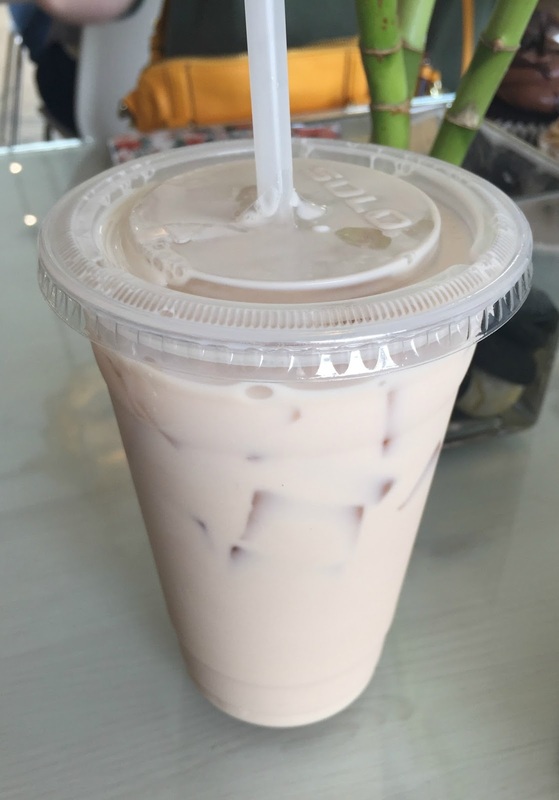 My niece ordered the iced chai latte and the rest of us ordered Italian Sodas with a splash of cream. 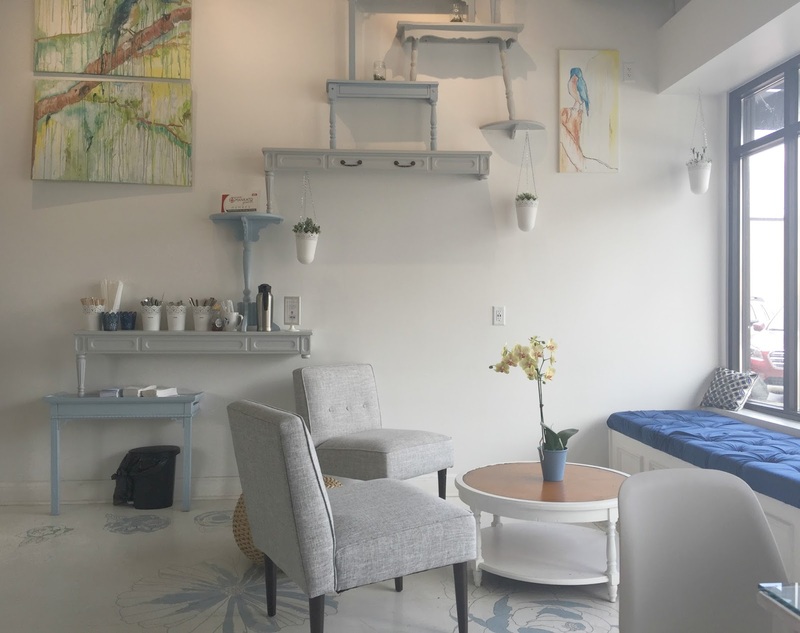 Everything is reasonably priced and with the amazing ambiance, you really couldn't ask for much more! See how cute and cozy these tables are?? And the amazing brick wall?? 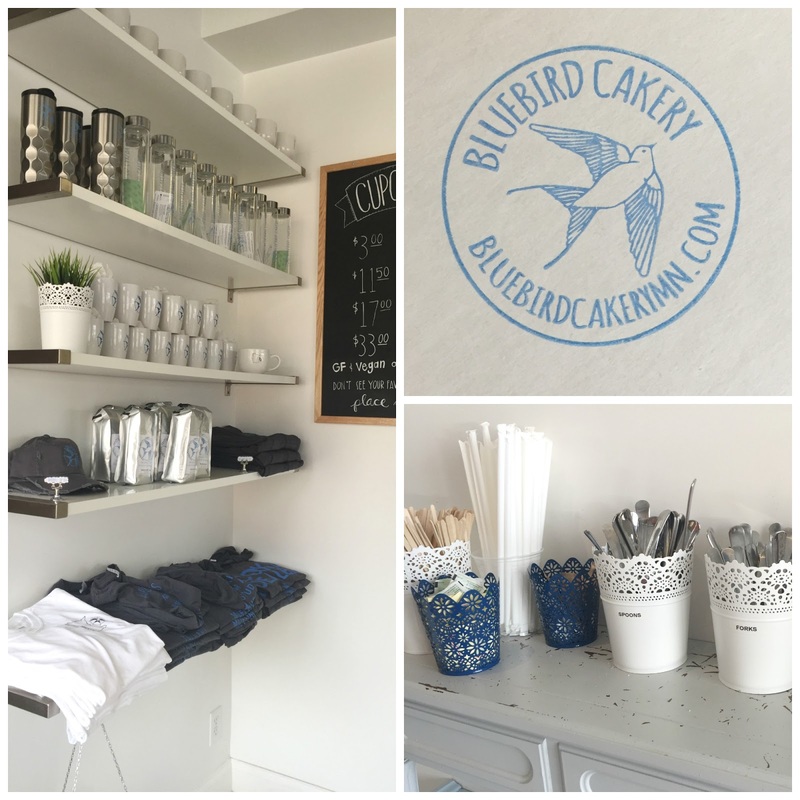 If you can't finish your cupcakes, grab a to-go box and before you leave, purchase some Bluebird Cakery swag! If you're ever in Mankato or Faribault Minnesota, make sure to visit Bluebird Cakery! 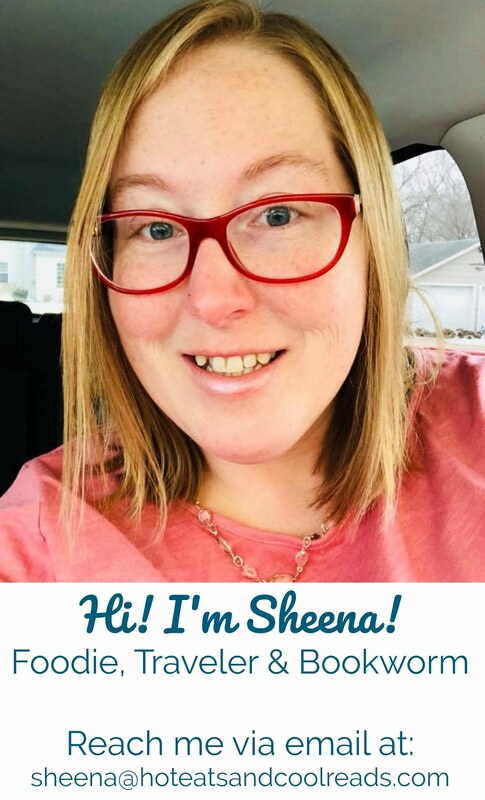 Visit their website or Facebook!